So, how awesome would this have been? 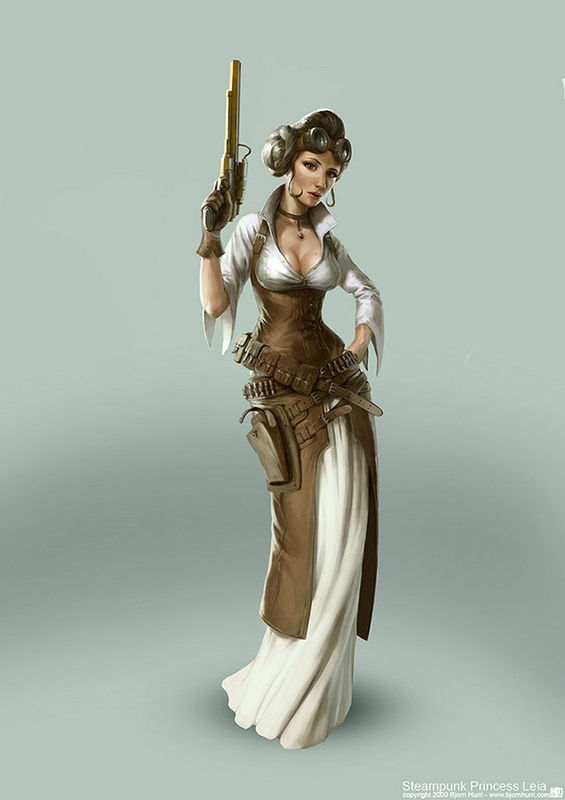 Yes, that’s Steampunk Princess Leia. Presented here to rekindle the 21st/19th-century version of all of your adolescent fantasies. 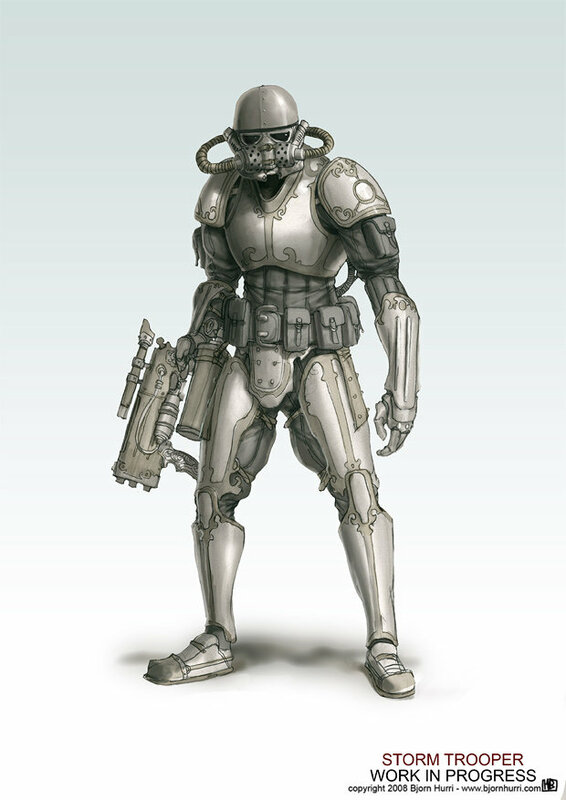 And here’s the corresponding stormtrooper, to rekindle your nightmares. 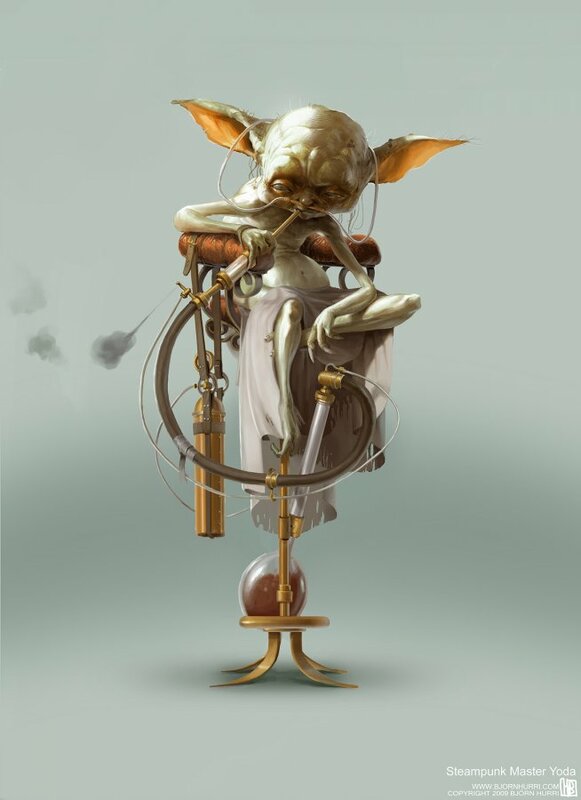 And finally, here’s Yoda, taking a drag on . . . um . . . let’s say it’s that spice stuff from Dune. He can totally see what color the force is now. These are the work of visionary genius Bjorn Hurri, whose mother, I assume, went through only a thirty-minute labor. via Bit Rebels, where you can also find Boba Fett, C3PO, and an in-progress Jawa.